Nellie was tiny with a huge Cat-i-Tude. NELLIE ~ dear sweet Nellie, no longer on the edge, has crossed her Rainbow Bridge. 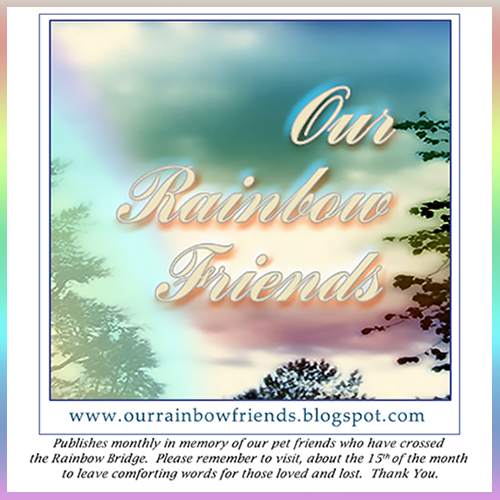 Will you visit please, will you say farewell ~ our hearts are sad today ... we loved her so. Nellie we are so very sad to read you have made your trip across the bridge. You were a matriarch of kitties...TRB will be more lively with you there. Was so sad to see this. We will miss Nellie, she was such a fun and caring girl who lived each of her days to the fullest. Our best to the family. Nellie had a good life. We are so sorry. No matter how long our fur babies live it is never long enough! 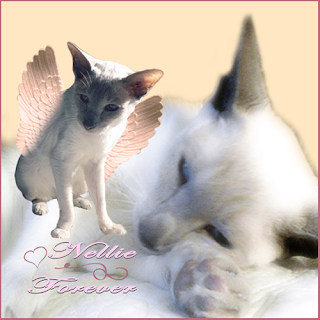 I will miss Nellie always as well as all our other fur babies we knew and lost.